Hotrod Tiki was born in 2003 through the passion of Sue & Dave Wright, a passion that spreads across hot rods, tiki, kool customs and everything else kool! 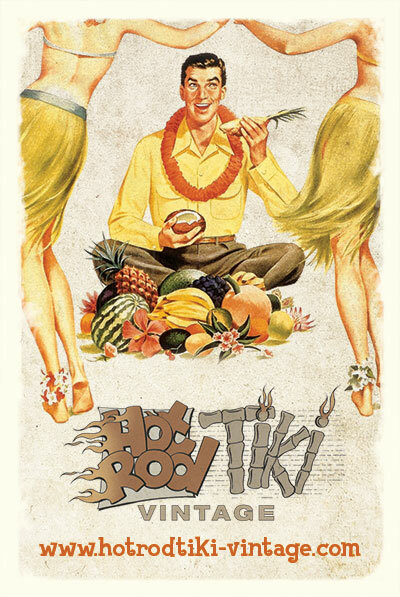 We love what we sell, which is why Hotrod Tiki was started, we hope you enjoy our website and our products and next time you see us at a show, come by and say ‘HI’…. I have been into unusual cars since I could drive, my first car bring a Mini Clubman but my second car being a Razor Edge Karman Ghia in matt pink, called ‘Kool, Karman, Kollected’, followed by a Volkswagen Kubelwagon, VW Splitscreen camper, 1964 Chevy Stepside Truck, and lots more besides, with now owning The Headhunter Chevy Wagon with my husband Dave, which turns up at shows all around the Country with our stall. I have also always been into collecting 50’s and 60’s, and then we found Tiki back in 1996, and the rest is history! 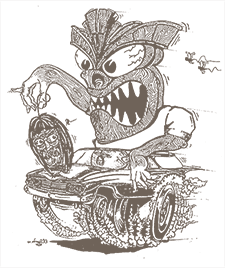 We have been collecting Tiki since then and have one of the largest collections this side of America, being featured in different magazines and books around the World. I, like Sue, have been into unusual cars since I could drive, owning cars such as:- 1960 Chevy Impala, FB Vauxhall Victor, 1958 Chevy Impala and my 1959 El Camino ‘Golden Idol’, which was painted by the legend Gene Winfield back in 2007. 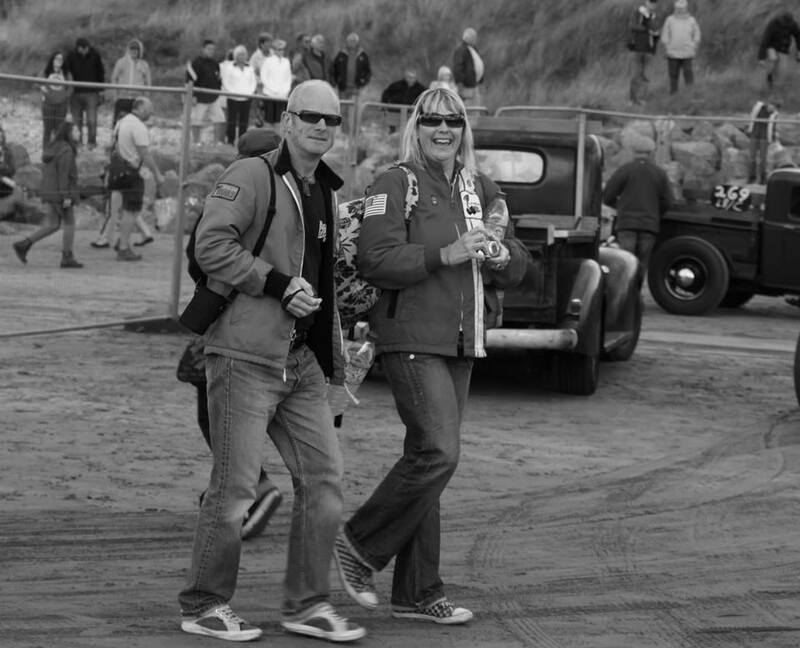 We met through our joint passion at the Victory Wheelers car show at Hayling Island back in 1991 and share a lot of the same interests. I too, have always collected 50’s and 60’s, with the highlight being on tiki. We have been to some amazing tiki and car events around the World, which is where we have found some of the great and unusual items we sell.